A dozen feet from the basket, Lamar Stevens never got his hands on the final inbounds pass with just over two seconds to play down two points. So close to overtime, an improbable overtime at that, the Nittany Lions once trailing by 11 with 3:58 to go. But there was no extra frame, instead a 64-62 loss to Indiana in regulation. To even get to that far was something of miracle given the run of play. The Nittany Lions missed free throws left and right going 5-of-21 from the line, shooting just 37% from the field in general. It wasn't pretty. At one point though things didn't look quite as bleak as Penn State led 9-0 in the opening minutes. That was before Indiana found its offense and headed into halftime up four. The Nittany Lions played well, got cold, fell behind. It's a familiar sequence for those who have been around this particular block before. In fairness, to anyone who has followed any normal team for any length of time. In the second half it was largely more of the same, Penn State trailing most of the way before a late surge made things interesting. Rasir Bolton scored 17, while Stevens and Myles Dread both added 12 points of their own. It wasn't a terribly efficient night, but it wasn't a matter of confidence and Penn State was getting good looks, they just wouldn't fall. The Nittany Lions sit at 4-4 heading back into a five game stretch of non conference contests before traveling to Michigan to start the remaining slate of Big Ten games. So far three of Penn State's losses have come by a possession, and Maryland's last minute seven-point victory was far from obvious heading into that final minute. So it stands to reason that aside from a brief hiatus, things will not get easier in the coming months. In many ways Tuesday night's loss was a microcosm of the challenges Penn State and Pat Chambers face right now. It would be difficult to watch this team over the span of eight games and see anything other than a lot of inexperienced players. Penn State's issue is consistency, it's getting freshmen to carry the majority of the load. Lamar Stevens is the team's only every-night scorer. Josh Reaves has done an admirable job trying, but his DNA is not to score, it is to disrupt. Mike Watkins hasn't played in a year and the freshmen are freshmen. In turn you end up with the kind of basketball hodgepodge that can really only get better with time. Missing free throws isn't a coaching issue, missing open shots isn't about a lack of prep. To suggest that somehow Penn State isn't practicing these things is to be willfully ignorant for the sake of being unhappy. 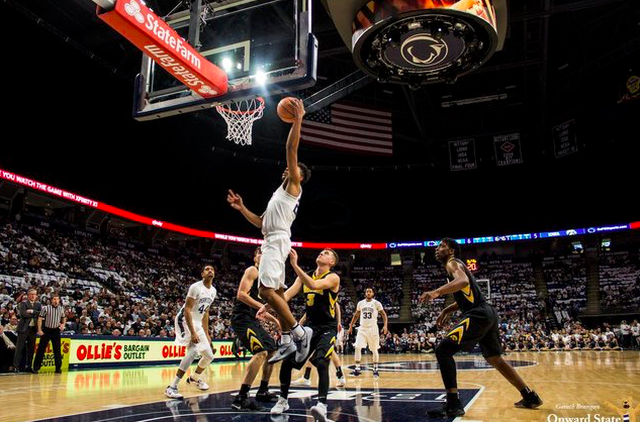 The Nittany Lions are clearly talented if for no other reason than they're a handful of baskets from being undefeated occasionally in spite of themselves. It's hard to see the likes of Bolt, Jones and Dread and somehow see simply bad players. They're just young. Not everyone is named Zion. And of course some amount of making up for that lands on Chambers' shoulders, even he admitted to a watered-down game plan on Tuesday to simplify things, but Penn State's losses haven't been a gross mismanagement of situations. Penn State just hasn't hit shots when it has needed to, it has had youthful mistakes. Coaching is only half the equation, then comes executing. In a lot of ways there is more evidence to suggest this team can be quite good, if not better than it was a year ago. The challenge: Finding that team on a consistent basis. The problem: Chambers might not be able to speed up time quick enough in 2018. 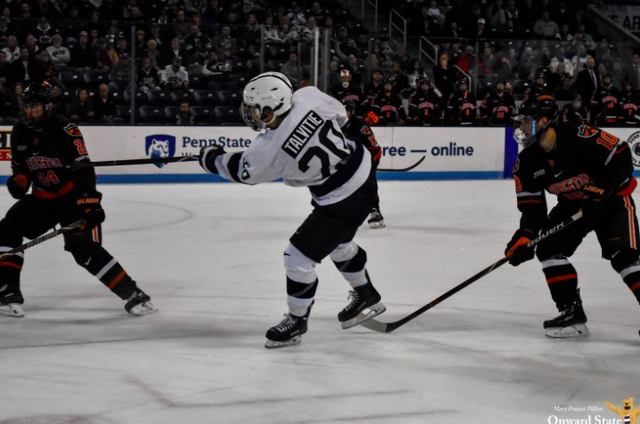 Penn State freshman Aarne Talvitie was one of 12 forwards invited to Finland’s preliminary roster for the 2019 World Junior Championship on Monday.